Looking for something to do this Labor Day weekend? You've come to the right place! Here are all of the hot spots to hit in Tampa for Labor Day Weekend. If you want to spend your Labor Day weekend doing something a little more outdoorsy? Here's a list of ten top parks in the Tampa area, where you can walk, run, jog, jump, skip or swim to your heart's content. One is home to the first wheelchair softball field in Florida. Another has a place to canoe, fish and picnic. 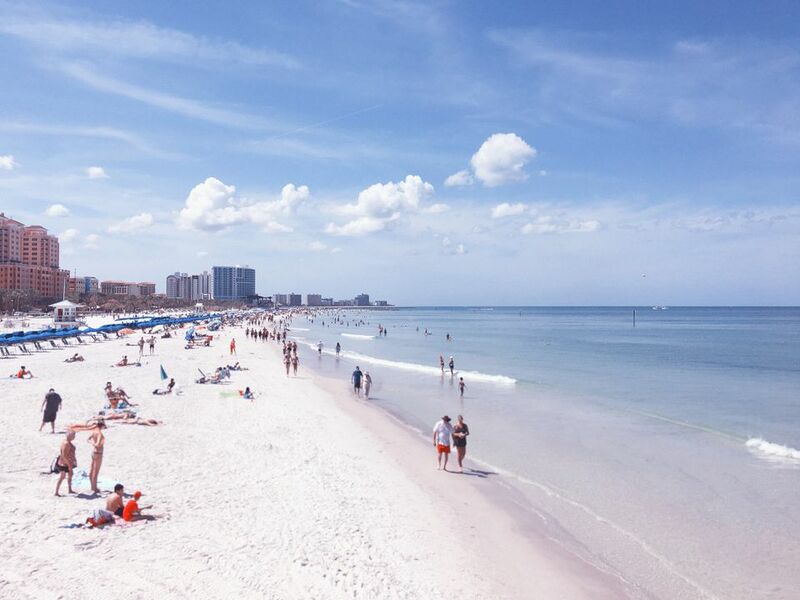 Drive over to Treasure Island, which is about 26 miles away from Tampa, and watch the beach party really begin. There's live music, St. Louis–style ribs on the menu and all the beach activities you would want. Labor Day marks "Old Skool Weekend" at Clearwater Beach with live bands, DJs, drink specials and so much fun you won't even mind that Shephard's doesn't know how to spell. If it's Labor Day at Pin Chasers, can their annual bowling marathon isn't far behind. It starts n the morning, and the idea is to see who can last until that night. The cost is only $10 per bowler, and all the money goes to a good cause. Think you're up for the challenge? The party at MacDinton's starts on Sunday and lasts until Monday night. With kiddie pools, frozen drinks and barbecue on the menu, this Irish bar is a perfect place to celebrate more than just St. Patrick's Day. Hogan's Beach bills itself as "Tampa’s biggest Labor Day Weekend beach bash." But it's more like a Sunday smash with a live DJ, sunset events and a possible stop-off at the Hulkster's waterfront bar and restaurant for the best electronic dance music in town.